An issue of the Pine Burr yearbook from 1963 describes the survival of Campbell University, once Buies Creek Academy, as “a Cinderella story…the marvelous transformation of a one-room schoolhouse to academy that withstood the attacks that closed dozens of schools of similar rating throughout the state.” J.A. Campbell, the young Baptist minister turned school founder and principal, had a vision for a school in rural North Carolina, and began the arduous process of convincing families to move to Buies Creek so they could work the land and he could teach their children. But he wasn’t alone in ensuring its success. 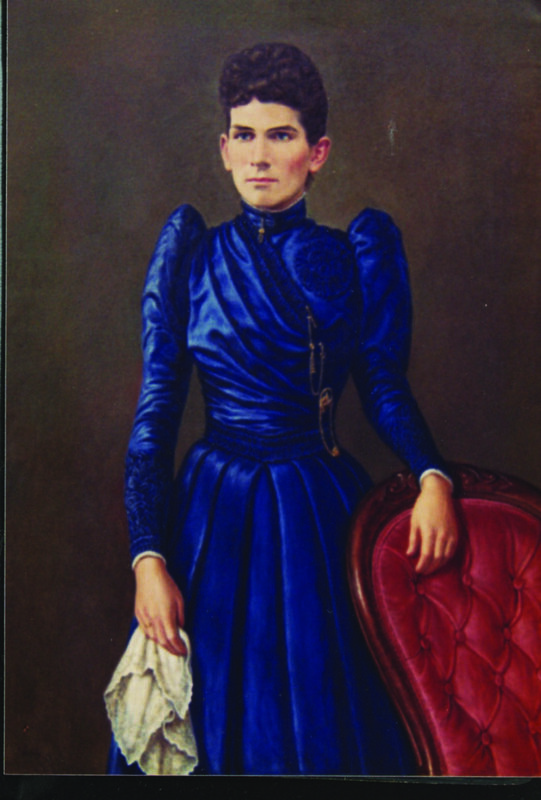 Cornelia Pearson, his future wife, was as hard working as he was, and instrumental in helping the school prosper for years after her husband’s death. Cornelia Campbell spent the next few decades of her life by her husband’s side, helping him run the school and supporting him through the uncertainty of the early Buies Creek Academy days. “With a calm and reserved disposition she met the crises of the early years, as they piled up one after the other,” said the 1963 edition of the Pine Burr yearbook. Through a fire that nearly destroyed the school, to financial insecurities, to a lack of food to feed the students, Cornelia was by her husband’s side without reservation. Money was a source of stress to Campbell in the early days of the institution, but Cornelia was determined to do her part to relieve her husband’s worries. “When income was barely sufficient to meet the demands of the school, she labored daily behind the scenes, working night and day to provide vegetables and fruits from the farm for the meals served in the dining-room,” the Pine Burr continues. When students had nowhere to live on campus, Miss Cornelia, or “Miss Neelie,” as her neighbors affectionately called her, opened her home for them to stay with the Campbell family. Cornelia Campbell moved into a house across the street from Campbell’s main campus after her husband’s death in 1934. The house is now home to Campbell’s Office of Alumni Engagement and Office of Annual Giving, and formerly housed the Home Economics department, honors students, and undergraduate admissions. Without her hard work beside her husband in the early days of the university, it is difficult to know whether those offices would even exist today. This week, during Campbell University’s annual Founders Week celebration, campus will come alive as we honor Campbell’s beginning in 1887. This year’s theme pays tribute to the women of Campbell, from the founding first lady, Cornelia Pearson Campbell, to the students, faculty and staff leaders of today. We honor their servant leadership, strength, and unwavering commitment to the University and the lasting impact they have made across generations. 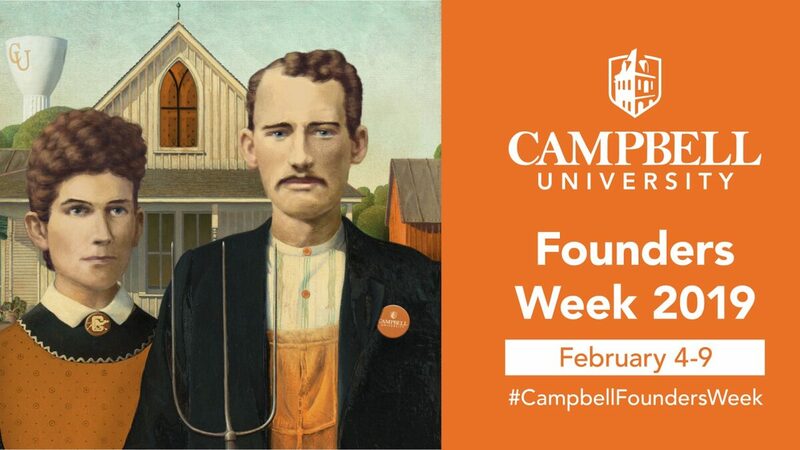 Join us on in person for Founders Week 2019 events or follow along online using #CampbellFoundersWeek. For more information visit alumni.campbell.edu.